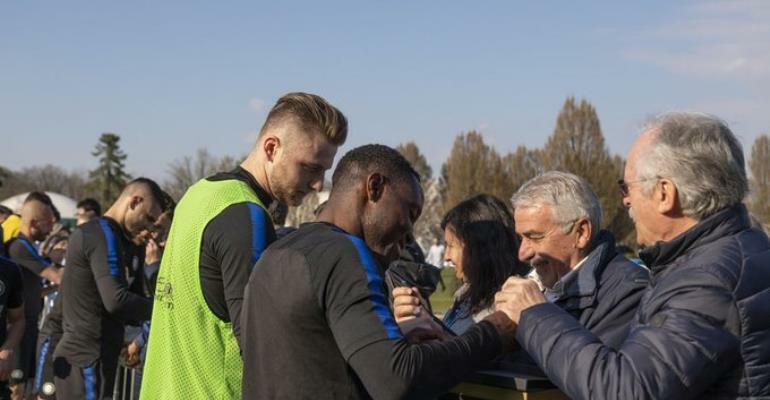 Kwadwo Asamoah has returned to Inter Milan training at the Appiano Gentille after a controversial stint with the Black Stars. The 29-year-old was unused in Ghana's 1-0 win over Kenya in the final 2019 Africa Cup of Nations qualifier at the Accra Sports Stadium. However, Asamoah flew the next day to Barcelona to continue treatment on a knee injury and as a result missed the international friendly against Mauritania in Accra. The midfielder and Stefan de Vrij and Milan Skriniar were the first players to return after the international break. Asamoah is expected to play for the Nerazzurri against Lazio in the Serie A.